Dolores O’Riordan has the perfect voice for her job. Don’t just take our word for it. As lead singer with The Cranberries this Celtic force of nature propelled her band to the top from the get go. The classic Everybody Else Is Doing It, So Why Can’t We? was a phenomenon in 1993 with a 5xPlatinum status in the United States, double Platinum sales in the UK and also saw the start of a French love affair with the group that endures to this day. With combined sales totaling more than 40 million they even achieved the near impossible in taking ten years off and then returning with a new project, Roses (2012) that sounded like they’d never been away. Follow-ups to Everybody Else… fared as well or better. No Need to Argue and To the Faithful Departed hit top slots worldwide while the intensely personal Bury the Hatchet qualifies as one of those soul-bearing affairs that makes a virtue out of discord. The entire band is adept at creating dreamy techno folk with a dark grunge kick and O’Riordan’s scintillating mezzo-soprano range is not to be messed with. We have all their epic releases, also the box set, The Treasure Box – The Complete Sessions 1991-1999 and the handy Stars – The Best of 1992-2002 where you’ll find all the firm fan favourites - “Dream”, “Zombie”, “Ode to My Family” et al. Dolores had been lying low of late but word up is she’s working on new material with Jetlag NYC, the Manhattan-based production duo formed by former Smiths bassist Andy Rourke and Soviet-born DJ Ole Kotetzy. Excellent news. Mike and Noel Hogan formed The Cranberry Saw Us in Limerick in 1989 with drummer Fergal Lawler and original singer Niall Quinn. After he quit Dolores O’Riordan answered an advert and swept everyone away when she promptly learned the existing songs and added new melodies and lyrics to works in progress. Two of those were “Dreams” and the breakthrough hit “Linger”. The game was on though without the clunky pun of the first name – they were now simply The Cranberries and better for that. Early recordings were tense affairs but once they hired London-born producer Stephen Street (The Smiths, Blur, Kaiser Chiefs, Babyshambles) they found their direction. Touring with Suede proved a boon since they were spotted by MTV who clocked O’Riordan’s charisma and star quality at once. The debut album Everybody Else Is Doing It, So Why Can’t We? (best said in the appropriate Limerick accent) was vindication for O”Riordan since her involvement in the writing and music with Noel Hogan was never less than wholehearted and more often she delved into personal territory that gave her a reputation for being a global counsellor. That honest open-faced image wowed listeners and disarmed all but the hardest hearted cynics. No Need to Argue was even more successful and would sell more than 17 million copies. By now Dolores was confident enough to add political observation pieces like “Zombie” to such private agenda numbers as “Ode to My Family” and the plaintive “I Can’t Be With You” (backed with a thrilling version of the Bacharach and David epic “(They Long to Be) Close to You”. Both discs were reissued in 2002 as The Complete Sessions Edition and are highly recommended for discovery in this format. They decamped to Windmill Lane Studios in Dublin to makeNo Need to Argue and To the Faithful Departed (1996) with Canadian hard rock expert Bruce Fairbairn (Bon Jovi, AC/DC, Blue Oyster Cult, Kiss, Yes, and others). The new album was just as harrowing in places as anything else they’d done before, with attention focusing immediately on the murder ballad “I Just Shot John Lennon”; but there are also moments of light and shade in the sweet “When You’re Gone” and on the road ennui in “Hollywood”. Still in their early twenties The Cranberries had been around the world twice and lived in each others pockets for so long that when Bury the Hatchet emerged in 1999 many wondered what that title referred to? The old siren flair remained intact on “Promises” and “You and Me” and if critics were harsh we reckon there’s plenty that’s good here with “Shattered” being up with their best. Again these albums are available in the 2002 reissue programme. To the Faithful Departed includes a duet with Luciano Pavarotti on “Ave Maria” and a stellar version of Lindsey Buckingham’s Fleetwood Mac classic “Go Your Own Way”; Bury the Hatchet has the startling “Paparazzi on Mopeds” and the open-heart surgery of “Woman Without Pride”. T he Cranberries moved to MCA Records for Wake Up and Smell the Coffee and also reunited with Stephen Street. Back came the soaring anthems and the soothing acoustic melodies but all involved decided it was time for some life outside the group. In the interim fans flocked to Stars: The Best of 1992-2002 and the ever popular 20th Century Masters – The Millennium Collection: The Best of The Cranberries. Both these are ideal places to start your discovery. Other compilations would mark time before the first official onstage disc arrived - Bualadh Bos – The Cranberries Live, the title translating as “applause”. Roses (2012) was delivered in time for Valentine’s Day with Dolores describing the mood in the camp as hyper but positive. "It's really just right. There's something there when we're together that's really good. It's not something that money can buy. It's not really something anyone can really emulate. It's got to do with energy and chemistry and that kind of thing. It's like putting on a perfect pair of shoes. It just fits." In the interim she made two well-regarded solo albums, Are You Listening? and No Baggage while the band also toured in China. Various international iTunes variations are available and there is also the double CD Live in Madrid from 2010 for those who astral project while listening to this classy Irish band. Reuniting with all their original members plus original producer Stephen Street just over a decade after their swan song Wake Up and Smell the Coffee, the Cranberries recapture the sound of their earliest records on 2012's Roses. Nearly 20 years have passed since their breakthrough Everybody Else Is Doing It So Why Can't We?, so it shouldn't come as a surprise that there are some signs of age on Roses, notably in an increased sense of professionalism in the band's craft and also in a slight stripping of the ethereal echo that gave their debut an appealing floating quality. 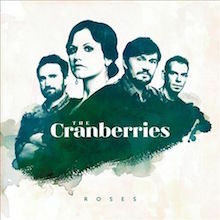 Without this dreaminess, the Cranberries are merely pretty, but unlike the turgidly ambitious Bury the Hatchet and Wake Up and Smell the Coffee -- or on Dolores O'Riordan's pair of perfectly fine solo albums -- Roses has definition and momentum, momentum that doesn't derive from artificially enhanced electric guitars, either. 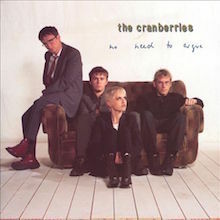 However subtle it may be, the Cranberries do have a chemistry, one that helps shape the melodies, one that gives O'Riordan a gentle, supportive bed for her commanding vocals. Dolores no longer exhibits the tics that sometimes overwhelmed her singing circa "Zombie"; she's settled into her voice just as the band has settled into its sound, opting for the swaying, lilting folk-pop that marked its best work. Roses may not immediately grab hold -- and it's lacking one strong single to pull listeners in -- but it's well-constructed adult pop that's unashamed of being either adult or pop. 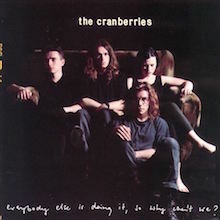 With their surprise success behind them, the Cranberries went ahead and essentially created a sequel to Everybody Else is Doing It, So Why Can't We with only tiny variations, with mixed results. The fact that the album is essentially a redo of previously established stylistic ground isn't apparent in just the production, handled again by Stephen Street, or the overall sound, or even that one particularly fine song is called "Dreaming My Dreams." Everybody wasn't a laugh riot, to be sure, but No Need to Argue starts to see O'Riordan take a more commanding and self-conscious role that ended up not standing the band in good stead later. Lead single "Zombie" is the offender in this regard -- the heavy rock trudge isn't immediately suited for the band's strengths (notably, O'Riordan wrote this without Noel Hogan) -- while the subject matter (the continuing Northern Ireland tensions) ends up sounding trivialized. Opening cut "Ode to My Family" is actually one of the band's best, with a lovely string arrangement created by O'Riordan, her overdubbed vocals showing her distinct vocal tics. Where No Need succeeds best is when the Cranberries stick at what they know, resulting in a number of charmers like "Twenty One," the uilleann pipes-touched "Daffodil's Lament," which has an epic sweep that doesn't overbear like "Zombie," and the evocative "Disappointment." To the Faithful Departed turned out to be where the Cranberries' best intentions finally and thoroughly tripped them up. Switching producers to Bruce Fairbairn was a troubling enough move to begin with; Stephen Street's ear for the band's dynamics was note-perfect, but Fairbairn's work with arena-rock monsters like Aerosmith meant that on Departed everything was scaled up accordingly. The results may have been more commercial, but they took the identity of the band with it -- the opening song "Hollywood" was a sludgefest that, ironically, didn't give the band the muscular kick that propelled songs like "Zombie." O'Riordan, meanwhile, decided she was a generation's spokesperson, fully taking over the songwriting, except on a couple of cuts with Noel Hogan, penning some appropriate liner notes, and running with it. Songtitles say it all -- "War Child," "I Just Shot John Lennon," complete with cheesy gun shots, and perhaps most painfully obvious at the end, "Bosnia." Then there's lead single "Salvation," which preaches against heroin addiction in a manner worthy of afterschool specials and with about as much depth. Not that good songs can't and haven't been written on these subjects, of course, but O'Riordan, lacking a truly individual or unique take on them, is not the person to be writing them. Or singing them -- her wails and yelps now run rampant, being less voice-as-instrument as it is signature calling card to be employed throughout. There are bright points -- every so often Hogan's guitar comes through at its best, and there's the retro-'50s finger-snapping "When You're Gone" and the nicely arranged "Electric Blue." Still, when compared to No Need and especially Everybody, Departed completely suffers in comparison. The Cranberries stumbled with their move toward heavier, politically fueled modern rock on To the Faithful Departed, losing fans enamored with their earlier sound. Like many groups that see their stardom fading, the band decided to return after a short hiatus with a mildly updated, immaculately constructed distillation of everything that earned them an audience in the first place. It's immediately apparent that Bury the Hatchet has retreated from the ludicrous posturing that marred To the Faithful. There are no blasts of distorted guitar -- as a matter of fact, there are no songs that even qualify as "rockers" -- and there is little preaching, even on Dolores O'Riordan's most earnest songs. Every note and gesture is pitched at the adult alternative mainstream, which is a good thing. Though they ran away from the dreamy jangle of their first hits, The Cranberries never sounded more convincing than on mid-tempo, folky pop tunes with polished productions. Sonically, that's precisely what Bury the Hatchet delivers, complete with little flourishes -- a Bacharachian horn chart there, cinematic strings there -- to illustrate that the band did indeed know what was hip in the late '90s. All this planning -- some might call it calculation -- shouldn't come as a surprise, since Bury the Hatchet is essentially a make-or-break album, but what is a surprise is that the end result is the most consistent record of their career. It's not necessarily their best -- it lacks the immediate singles of their first two records -- but all the songs work together to form a whole; not even embarrassments like the skittering "Copycat" interrupt the flow of the record. True, the album never challenges listeners, but it delivers on their expectations -- and after To the Faithful Departed, that comes as a relief. 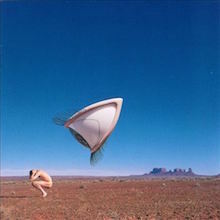 The second half of the '90s was difficult for the Cranberries, not just because of changing fashions, but because the group embraced both a social consciousness and a prog rock infatuation, crystallized by the Storm Thorgerson cover of Bury the Hatchet. 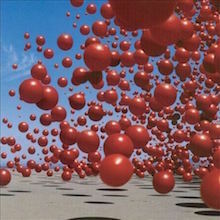 Thorgerson has been retained for their fifth effort, Wake Up and Smell the Coffee, but the group has hardly pursued the indulgent tendencies of their previous collaboration with him -- instead, they've re-teamed with producer Stephen Street and come up with an album that's as reminiscent of their debut as anything they've done since. So, even if it's wrapped in new clothing, this is essentially a return to basics, and it's a welcome one, since it's melodic, stately, and somber -- perhaps not with the post-Sundays grace of "Linger," but with a dogged sense of decorum that keeps not just the group's musical excesses in check, but also O'Riordan's political polemics (although she still sneaks in cringe-inducing lines like "Looks like we've screwed up the ozone layer/I wonder if the politicians care"). 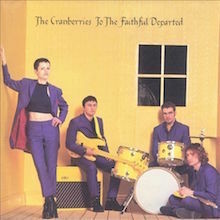 This doesn't really result in a record that will restore the Cranberries to the status they enjoyed in the early '90s -- after all, there's nothing as undeniable as "Linger," "Dreams," or even "Zombie" -- but it's a solid effort that feels like the true follow-up to To the Faithful Departed, which is notable in its own way.